Khairuddin Hori will be appointed director at Chan Hampe Galleries from 10 September 2016. Hori recently returned to Singapore from the Palais de Tokyo, Paris – one of Europe’s foremost centres of contemporary art – in 2014. Benjamin Hampe will continue as co-owner and advisor whilst taking a developmental role in Indonesia and co-owner Angie Chan will re-join the executive team to manage the business aspects of the company. Hori is a graduate of both Nanyang Academy of Fine Arts and LASALLE College of the Arts in Singapore and is best known for his multidisciplinary and unconventional approach to curating, supported by his experience in theatre and as an artist. In 1997 he took on the position of associate director at Teater Ekamatra, a Malay-language theatre company, for which he led large-scale outdoor performances in Singapore. He was also an active participant of Thailand’s Asiatopia International Performance Art Festival from 2005–08 and was also an Associate Artist at The Substation art centre in Singapore. After briefly leading the Curatorial Development department of the National Heritage Board in Singapore, Hori became the first appointed deputy director of artistic programmes at Palais de Tokyo, Paris. Formerly, a senior curator at the Singapore Art Museum specialising in contemporary Southeast Asian art, Hori’s portfolios included the inventory of the national collection and acquisitions for Southeast Asian contemporary art with focus on Singapore, Malaysia and mainland Southeast Asia. Meanwhile co-founder and current director, Benjamin Hampe, will take on a developmental role in Jakarta as an associate director with Ciputra Artpreneur, an art centre that comprises of a 1,200-seat theatre, museum, exhibition hall, and retail and F&B spaces. 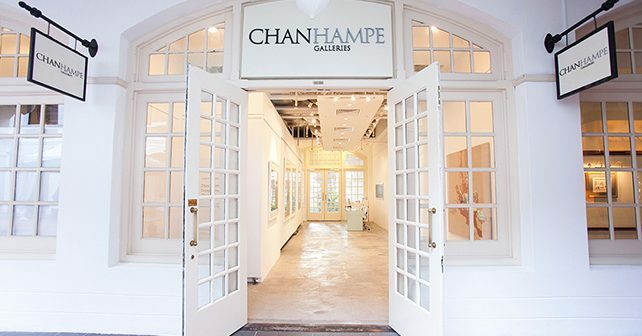 Whilst managing that role, Hampe will continue to be involved with Chan Hampe as an advisor and co-owner and will remain active in the business. Co-founder Angie Chan will support Hori and Hampe on a day-to-day basis. Lee Pei Pei will complete the current team as gallery manager. 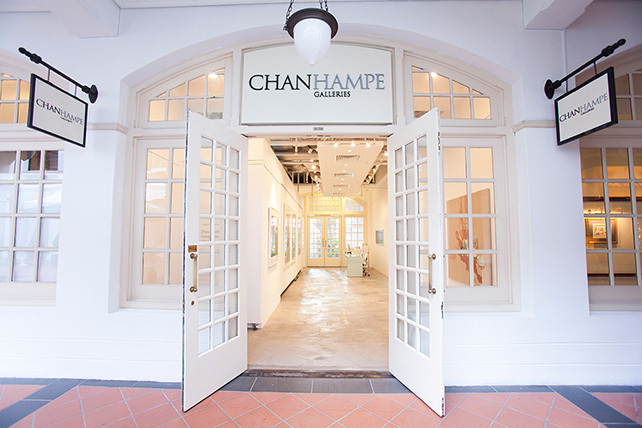 Chan Hampe Galleries was founded in 2010 by Angeline Chan and Benjamin Hampe in Raffles Hotel Arcade to cultivate and promote the contemporary visual arts of Singapore. A second space, SHOPHOUSE 5, was launched in 2015 to provide an alternative platform for emerging artists, curatorial projects, and not-for-profit programmes.